The start of a new year often inspires us to make much-needed changes in our lives and offers the opportunity for a fresh start. For seniors who want to improve their physical and mental health, the start of a new year signifies the beginning of possible positive change. 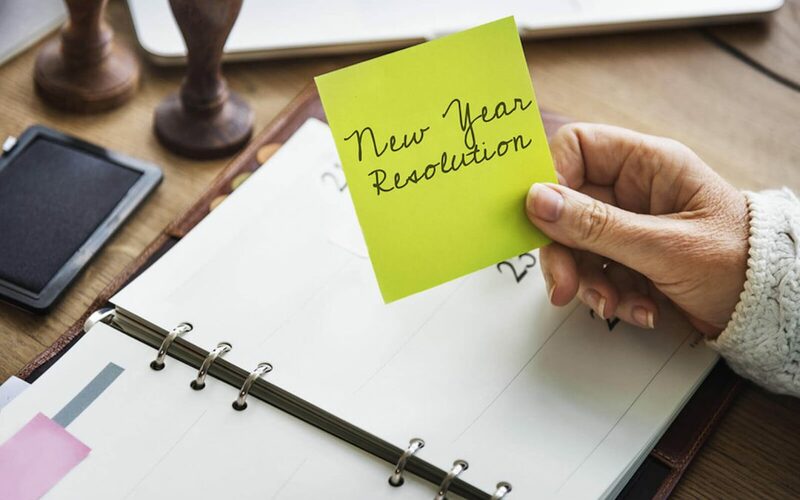 Whether you prefer to set small goals for yourself or approach each new year as an opportunity for complete life “makeover,” here are four simple resolution ideas to help you kick-start the new year. When it comes to senior nutrition, eating fresh fruits and vegetables that are rich in nutrients is the best way to go. Eating fewer processed foods and more fresh foods will make a huge difference in the way you look and feel. Start by eating more fruits, lean meats, whole grains and vegetables and…gradually increase your consumption of these nutrient-rich foods over time, while decreasing your intake of less healthy alternatives. It’s also important to monitor your sugar intake as not all sugars are created equally. Consuming natural sugar as found in fruit and lactose can be beneficial and actually help to stabilize your blood sugar and make you feel fuller longer. As the name implies, added sugars are processed forms of sugar, like syrups, that are added to certain foods when they’re being made. Because these sugars are processed and not natural, they’re not as good for your body. Another important part of a healthy diet for seniors is Omega-3 fatty acids — commonly found in olive oil and fish. The heart-healthy nutrient has been known to reduce the risk of developing heart disease and other ailments. It may also protect the brain. To get enough Omega-3 in your diet, substitute fish for other meat a few times each week or talk with your physician about opting for an Omega-3 dietary supplement. It’s not always easy remaining close to friends and family who don’t live right down the street. Fortunately, there are many resources you can use to revive your neglected relationships. One of the quickest ways to reconnect is with simple phone call. Sending a “thinking of you” card or letter is also a nice way to keep in touch. If you’re technologically savvy, social media sites like Facebook make it exceedingly easy to stay connected with friends and family from all around the world. As we age, it is more important that we keep active — both mentally and physically. The more you use your mind, the better it will work. Read. Do crossword puzzles. Play cards. Try Sudoku. Socializing also gives your brain a boost, so strike up a conversation with your neighbor, finally make that phone call to your friend you’ve been putting off or join a discussion group at your local library or senior center. Physical activity can be safe and healthy for older adults — even if you have heart disease, diabetes, or arthritis. In fact, many of these conditions get better with mild to moderate physical activity. Exercises such as yoga, water aerobics, walking, and stretching can also help you control your weight, build your muscles and bones, and improve your balance, posture, and mood. Remaining both mentally and physically active is vital to maintaining your health and can help to reduce the risk of developing dementia in the future. One in every three older adults falls each year and falls are a leading cause of injuries and death among older adults. Eliminate items in your home that are easy to trip over, like throw rugs and stray power cords. Insert grab bars in your bathtub or shower and install night lights so it’s easier to see at night. Exercises such as walking or working out with an elastic band can increase your strength, improve balance and flexibility and help you avoid falls. Selecting appropriate footwear can also help to prevent falls. For an all-around shoe, consider walking shoes, which provide good traction and support but do not have heavy soles or rubber over the toes which can catch on carpet. If you’re a senior looking to make a bigger change this year by downsizing or relocating, we hope you will consider The Classic at Hillcrest Greens. Although the thought of moving can result in a plethora of ambiguous feelings, many of our residents say they wish they had made the move sooner, especially after experiencing all of the services and activities our community offers. Contact us to schedule a tour and experience The Classic for yourself. 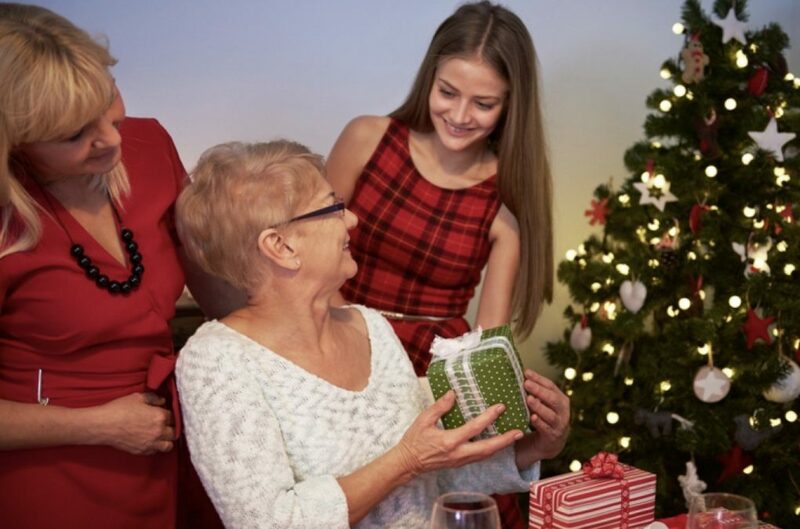 Family caregivers, which most of us are likely to become at some point in our lives, have a unique and demanding role and are likely to have their own special set of plans for the new year. You might have already resolved to lose weight, eat more healthily, or spend more time with family and friends, but have made any resolutions to help you in your role as a caregiver? Listed below are some suggestions that may get you thinking about areas of improvement you can address during 2019. 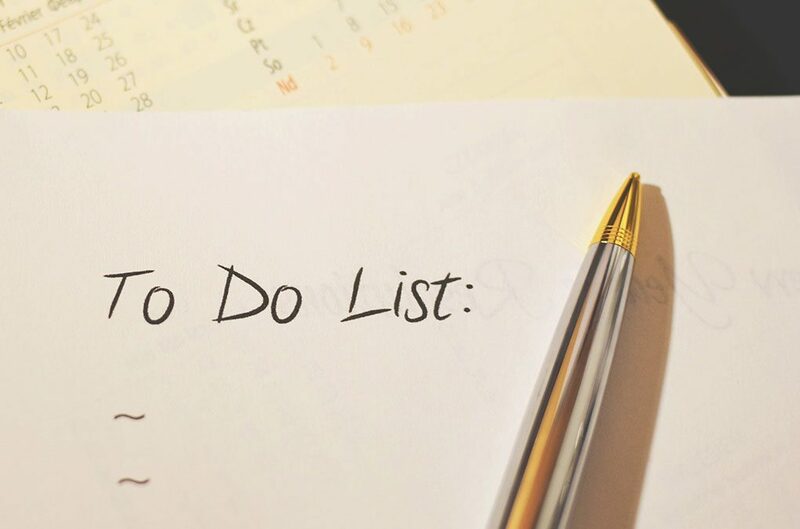 A common frustration among caregivers (especially Sandwich Generation caregivers) is that there are not enough hours in the day to do everything that needs to be done. Caregivers can try new technologies to help manage their caregiving role. For example, there is an app called CareZone (available for computers, tablets, and smartphones) that can help parents and family caregivers organize files, contacts, and medications, and coordinate with family and other caregivers. You can use this app to keep track of various concerns for your parents like phone numbers, email addresses, medical appointments, medication lists, as well as a general “to-do” list. App technology allows you to keep all this information synced on all your devices. It can be difficult for families and seniors to have discussions about plans for long-term care or end-of-life care. Many people avoid these conversations because the topic can be awkward and emotionally wrenching. But these talks can’t be avoided forever, as aging and mortality cannot be escaped through denial. Make it a goal to overcome the awkwardness and start these tough conversations with your aging parents. For advice about how to start this conversation, and what questions to ask, read our post…10 Essential Questions to Ask Your Aging Parents. Use 2019 as an opportunity to get your parent’s must-have documents (e.g. marriage certificates, living wills, military records, etc.) in order. You never know when they’ll be needed, but you almost certainly will need them at some point. Procrastination will only make it worse, whereas you’ll find a calming peace of mind knowing that you have essential documents in order. Many Americans fail to plan for, or underestimate, the cost of long-term care for themselves and their loved ones. Often times this failure is due to simple mistakes and misconceptions. Take time to educate yourself about the costs associated with long-term care and learn which insurance covers what care so that you aren’t stuck having to sort it out during an emergency. For example, it should be understood that Medicare is not long-term care insurance and won’t help cover the costs of long-term placement at an assisted living community or nursing home. Remember, as you plan, that the cost of care today is not the cost of care 10 years from now as long-term care costs are growing well above the rate of inflation. If you’re unsure whether your family is financially prepared for an older loved one’s long-term care needs, consider speaking with a professional financial planner. 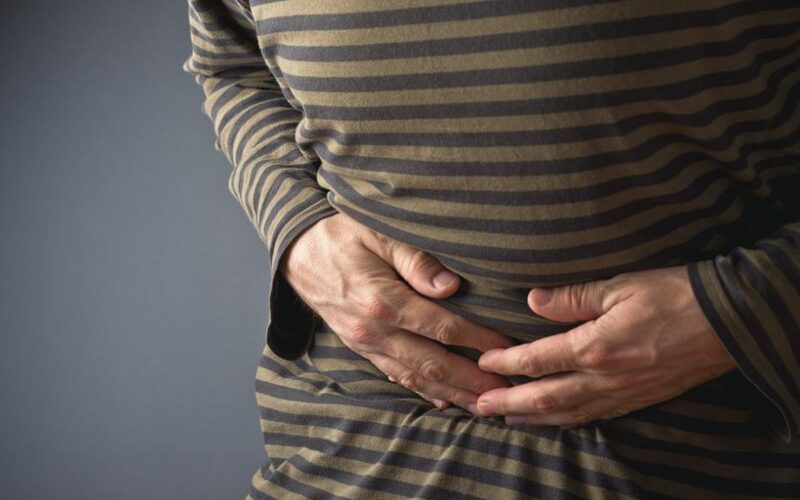 According to the American Academy of Family Physicians, millions of Americans are diagnosed with malnutrition each year. Seniors who are having difficulty cooking or shopping, or who have bad eating habits, are especially at risk. Learn about the unique nutritional needs of seniors and ways you can help your older loved one eat well and…enjoy it. This is another area where technology might be able to give you a leg up. If your loved one has a smartphone or iPad, put the free app, MyNetDiary on the device. Or if you are in charge of your parent’s diet, put it on your own device. It allows you to track all aspects of your or your loved one’s diet. MyNetDiary also has special versions designed specifically to help people with diabetes or heart disease eat appropriately. Even if you’re not sure a move is on the horizon or if your loved one has no intentions to move, take some time to visit a senior living community with your parent(s). Try to make it a relaxing visit to get you and your loved one’s “toes wet.” These visits can be genuinely pleasant if you make a point of going to see an interesting event or for a meal. Also, if your parent does eventually move to a community, you will see these preliminary visits that you made months or even years in advance of any particular need, helped to make your loved one more comfortable and at home when a need did finally arise. Indulge your parents’ sense of nostalgia and listen to them tell some weird or wonderful stories about themselves and the history of your family. Even when we’re very close to a loved one, there’s always room to know them better. Think about recording your parent, or using other means to preserve memories of your loved one for future generations. Don’t let Alzheimer’s or dementia keep you from spending quality time with your loved one. Memory loss often jams communication, but this roadblock can often be worked around by learning how to talk with a loved one who has dementia. Whether an unexpected illness leads to hospitalization or a fall requires rehabilitation at a nursing home or rehab center, it’s vital that your parents have their essential legal documents in order so that you have a good picture of their state of affairs. Are you prepared to handle difficult decisions on behalf of your aging parent? Do you know what legal planning you should have in place? You can’t predict when something might happen to your aging parent, so preparation will help in making legal and medical decisions for your loved one. Listed below are 10 questions to ask your senior parent to make sure your family is prepared for the unexpected. 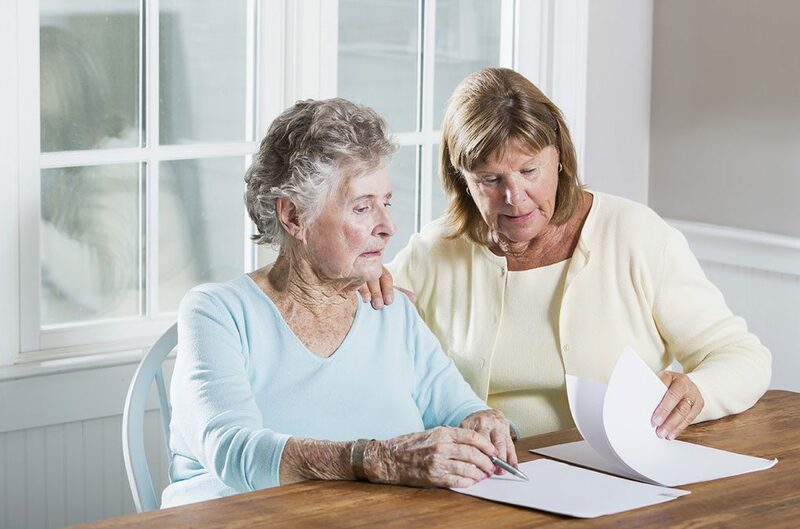 A Durable Power of Attorney designates who will take care of our affairs if you are unable to decide for yourself in the case of mental or physical incapacitation. Seniors (or any adult for that matter) can designate one person to handle health decisions (the health care proxy) and another for financial decisions (the financial proxy) or they can designate one person for both roles. What Are Your End-of-Life Wishes? A living will, also known as an advanced health care directive, is used to indicate choices about end-of-life care. For instance, would you want a ventilator and feeding tube used to keep you alive even in an irreversible coma? Do you want CPR initiated if your heart stops, even if you are terminally ill? Make sure your health care proxy is aware of your parent(s) decisions. Wills and living trusts are the legal methods used to designate what happens to your possessions and money after you pass. A will simply specifies, in writing, who gets what and how much. A living trust is an alternative to a will. A senior who prefers a trust, puts their assets in the trust and names a person to take charge in case of death or if they become incapacitated. Do You Have Long-Term Care Insurance or Another Plan in Case Long-Term Care is Required? In Wisconsin, the average monthly cost to reside in assisted living is currently just under $4,000.00/month or approximately $47,000.00/year. This monthly expense can decimate a senior’s nest egg rapidly, so it’s important to know if your parent has insurance to offset these costs, or some other plan in place should long-term care needs arise. If your parent does have long-term care insurance, read the policy to make sure you understand it. Call the insurer if you have questions about what is and what is not covered. Have You Made Sure That These Documents Are Current? Where Can I Find These Documents If I Ever Need Them? It doesn’t do any good for your parent to have these documents in order if they can’t be found in an emergency. Make sure you know where they are and how to get to them. For example, if they’re in a safe deposit box, see to it that a trusted family member has a key and permission to access the box. If they’re in a fire safe, someone besides the parent should have the combination. Is Someone Advising You on Financial Matters? Older parents are often fiercely independent regarding their finances, which is understandable. Even so, it’s important to know who is advising your parents regarding financial decisions. This knowledge will not only allow you to reach the advisor in case of an emergency, but also gives you a chance to make sure your parent is working with someone who is reputable. If You Can No Longer Take Care of Yourself, Have You Thought About Where You’d Prefer Living? Start the discussion about long-term care options before a crisis hits. Get your parent involved early, and look at options before the need arises. This gives your parent an opportunity to provide input about preferences and to get involved in the process rather than having to passively accept arrangements hastily made at the last minute by well-meaning but uninformed loved ones. Your parent may be seeing several specialists in addition to a primary care physician. If your parent become hospitalized, information from one of these doctors could be critical. If possible, ask your parent to provide you with a list of physicians see regularly and how to contact them. On the other hand, some seniors may have the opposite issue. Their idea of a doctor’s visit may be a weekly session in front of the TV with Dr. House. This question can also help prompt a meaningful discussion about your parent’s general health and well-being. Do You Feel Like You Understand Why You’re Taking the Medicines You’ve Been Prescribed? Many seniors end up on a dozen medicines or more. This question can help you gauge whether your parent is able to manage his or her medications independently, and also may provide a clearer overall picture of their medical status. Just as it’s important to know who your parent’s physicians are in case of an emergency, it’s also important to know what medicines your parent takes. Being able to provide this information to hospital staff in case of a medical crisis can be vital to effective treatment. People in the U.S. can pretty much out-plan anyone when we set our minds to it. You may have heard by now that NASA plans to have an expedition on the planet Mars in about 15 years. Preparations are well underway with meticulous consideration being made for food, fuel, and mental stimulation. Everything is being planned in phenomenal detail for the 140-million-mile journey into outer space. Individuals or families don’t begin to rival the enthusiasm of rocket scientists, however, when it comes to their planning for the future. Sadly, only one in three people have funds set aside for retirement. More than half don’t have a will. Needless to say, few people even give serious thought to their future housing needs long before it’s time to make that important decision. This lack of planning is a critical error and is something that would likely doom a space mission before it ever took off from earth. When people don’t plan for senior living, decisions can get made in a hurry, usually only after one’s physical or mental health takes a turn for the worse. Families then tend to go into crisis mode and make choices without adequate forethought or insight. Rather than seeming like a chore to tame, early planning gives a family a stress-free opportunity to make decisions around an adult’s living situation. Adult children get a chance to learn about mom or dad’s lifestyle, interests, passions, and concerns. The older adult in turn, get to explore options thoughtfully, without the pressure of a discharge deadline or some other artificial timeline hanging over their heads. This planning phase can be a moment of enrichment for all involved, as well as a golden opportunity to organize and prioritize — all with an eye toward setting up a loved one for the best possible housing experience going forward. Not all senior living options are the same. There is a broad and varied market with the possibility of meeting a wide array of personal needs. It goes without saying, that finding the right fit takes care and forethought. Older adults and their families will want to consider a range of factors when planning in advance for senior housing alternatives. The following information includes some of the biggest priorities that will take some time and planning. Finances are typically the main or at the very least a primary consideration. As with any housing option, the conversation may well begin with the question: How much can I afford? This will be a calculation encompassing retirement savings, the possible sale of a home, as well as other sources of income. Online calculators and other services, including the skills of a CPA or other financial professional, can help a family get a handle on their numbers. The flip side of that coin: How much does it cost? It pays to do one’s homework here, as the cost of senior housing is a widely variable factor. Different types of housing — independent living, assisted living, memory care, nursing home — have different financial models. Costs may vary even among similar-seeming communities. Staying at home and receiving in-home care isn’t necessarily less expensive either. It pays to do research while you are planning ahead. The style or type of community is always a major consideration. A vibrant, engaged community like The Classic at Hillcrest Greens — one where residents have ample opportunities to express themselves, discover new interests, and engage with others, is ideal. Not all senior housing options are cast in this mold. A little research will uncover a big difference between assisted living and nursing homes, for example. 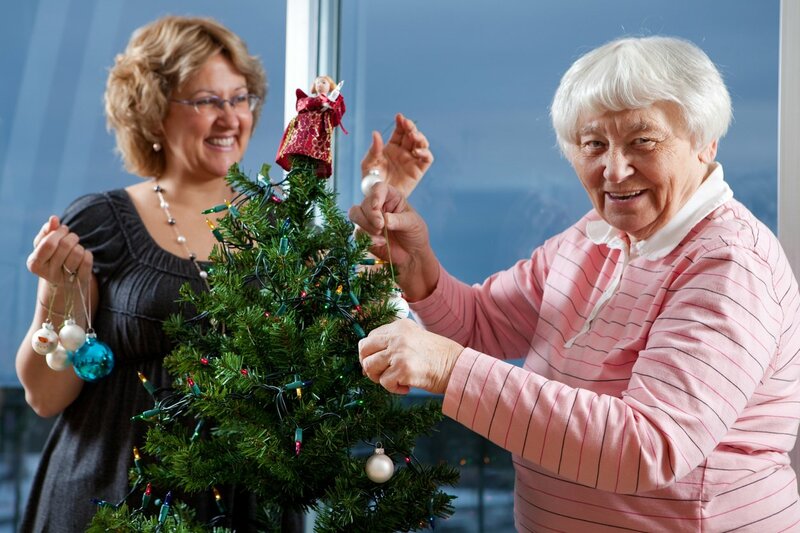 Assisted living residents generally enjoy a far higher level of autonomy. They can engage in not only the basic functions of daily living but also participate in a wide range of other activities. 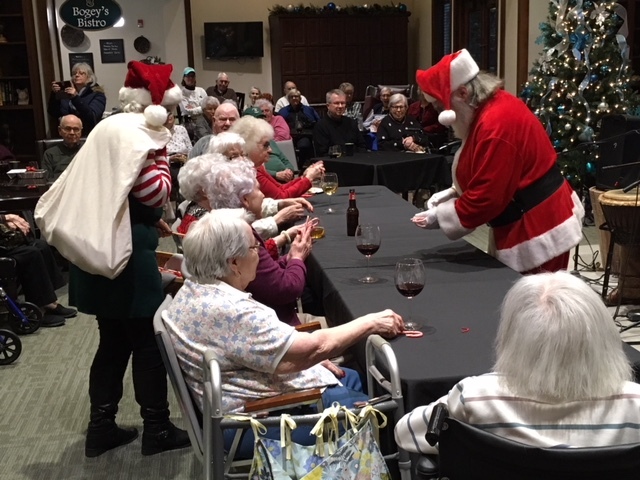 It’s important to note that not all assisted living communities are the same and as the trend continues to move more individuals towards this type of residential setting, early planning is essential. Many communities continue to have full occupancy, so don’t be surprised if you are told that you need to be placed on a waiting list. You must consider location as well and just as mentioned above, early planning is once again key. If parents are going to relocate to be closer to their children, a head start helps make that complex transition go smoothly. Older adults also may want housing close to a particular medical provider or near towns or sites of particular personal interest. Either way, if a move is in the cards, early planning helps make the adjustment easier because you can ensure a location will be available near you. Those who wait to consider even discussing the topic of moving, or putting matters off until “something” happens, often find themselves in an uncomfortable situation. When families wait until a crisis arises to make their senior housing choices, emotions can get in the way and it can be difficult to make the right choice. A hurried decision can lead to financial mistakes. Older adults find their choices constrained by the lack of advance planning, especially if they are unaware of the costs associated with housing. Those who don’t know the financial side typically have difficulty allocating their resources appropriately. Putting off the “money conversation” as uncomfortable or inconvenient as it may seem, inevitably leads to fewer options down the road. Likewise, those who don’t think through the different housing types may find themselves unprepared to address the complex senior living landscape. As a result, a rushed choice may land mom and/or dad in a community that simply doesn’t fit — a place that doesn’t respond to their lifestyle needs, personality, or intentions. Forethought helps ensure a fit between the individual and the place they will be calling home. As in most major life decisions, a hurried choice typically yields lukewarm results at best. Finances, housing type, and location. These three key considerations significantly help inform the choice of senior housing. The sooner you and your loved ones begin exploring the options, the better. Those who fail to act and end up making a decision based on emotion rather coordinated research, often regret not having acted sooner. Early planning is more than just smart. It’s essential for those who wish to take what some find to be a daunting task and turn it into a process of joyful exploration and an enriching experience for all involved.